Fill out our simple form and get quotes from local catering equipment suppliers. Catering equipment is essential for most larger events. Do you need refrigeration, tables or preparation areas, electrical appliances or bar accessories? Will your catering equipment be supplied by your caterer or do you need to hire catering equipment from a specialist supplier? Search here for catering equipment suppliers in your area. We are a family run business based in Essex. All our equipment is of good quality no chips and always supplied clean and ready to use, we also offer a washing up service for an extra charge. 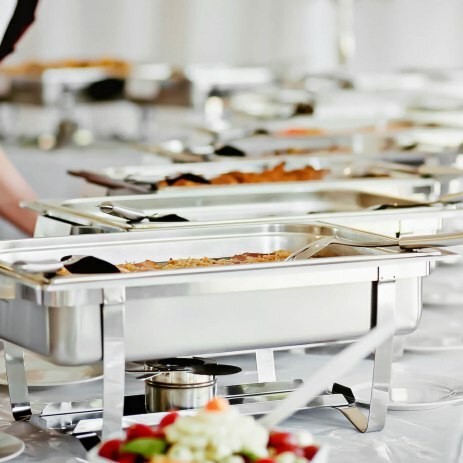 Although catering equipment is essential for large events where there are many guests and lots of food to prepare, smaller events often need supplies too, such as cake stands or crockery. Add to Event have a growing collection of suppliers offering catering equipment hire for any size of event across the UK. Mobile equipment for outdoor events such as gas or electric cooking equipment is available for hire, as well as refrigeration units, cooking essentials and bar equipment. Suppliers will deliver and set up your catering equipment and come to collect it once your event is over. Hiring the right catering equipment is a staple event supply, ensuring your have everything you need to produce perfect food and drink for your event.